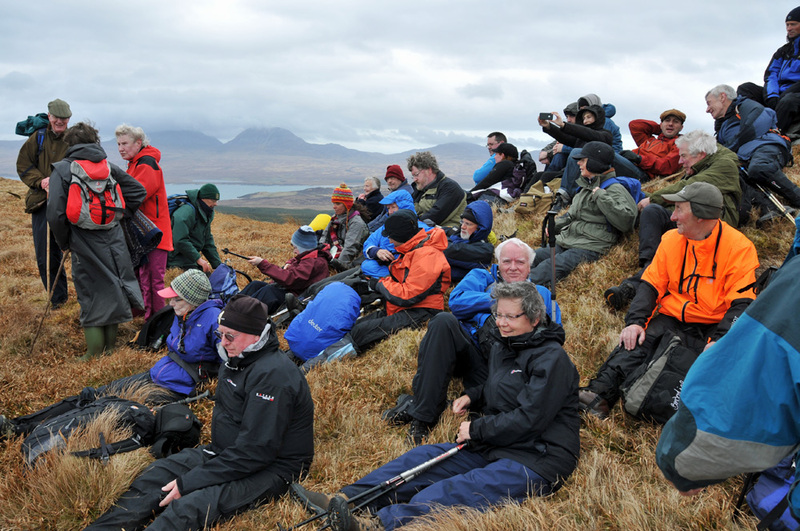 An impression from the Islay walking week 2013, walkers at the summit of Giur-bheinn in the north of Islay. The Sound of Islay and the Paps of Jura (partially covered by clouds) in the background. This entry was posted in Cloudy Weather, Landscape, New Post and tagged Giur-bheinn, Islay, Paps of Jura, Sound of Islay by Armin Grewe. Bookmark the permalink.